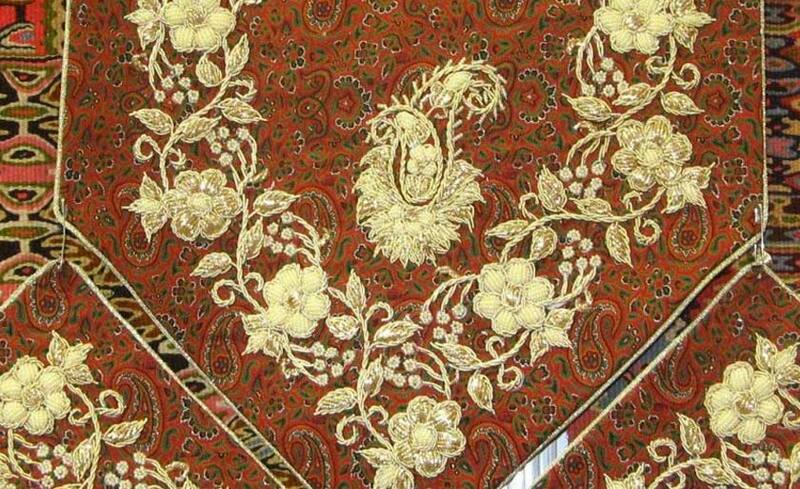 The art of ornamenting and decorating the surface of fabric by means of all kinds of traditional decorative sewing is called embroidery which is usually used for fabrics with a simple background and includes all kinds of stitches and knots. 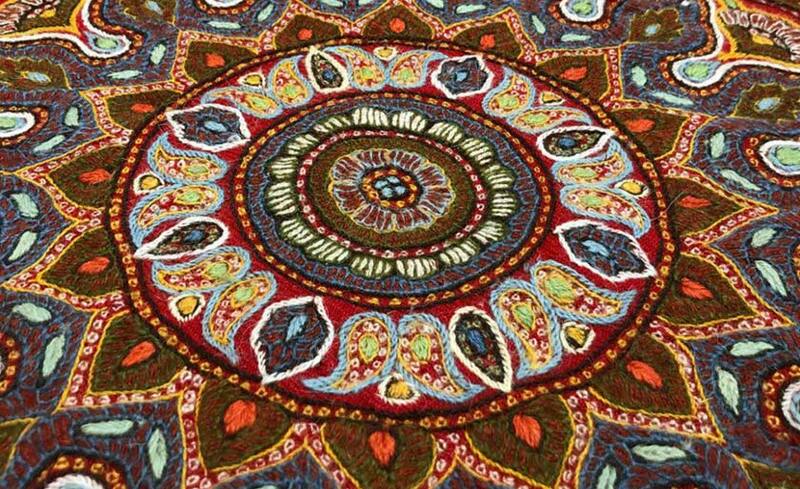 Employment of all kinds of embroidery and innovation of new styles in this art and a combination of them has existed in different periods since thousands years ago. 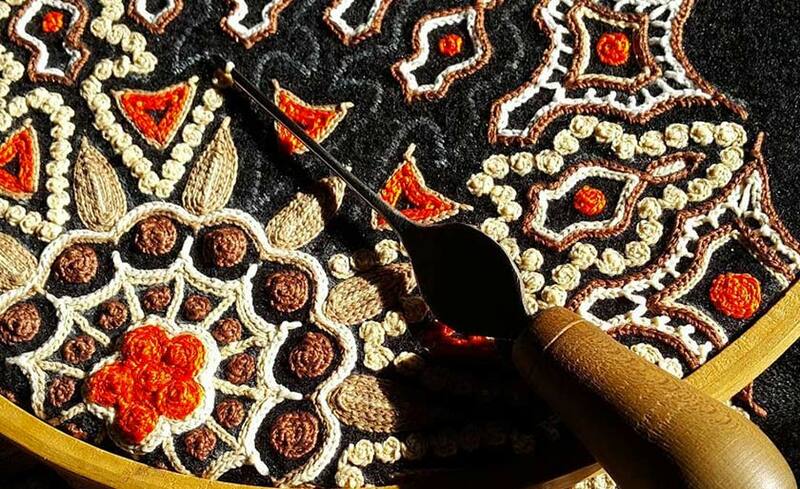 Also, in Iran the talent and taste of Iranian artists has been too further than sufficing just to weaving various colorful cloths, but has been able to make the background of simple fabrics such as canvas seem colorful and brilliant by sewing all kinds of decorative beads and ornamental threads. 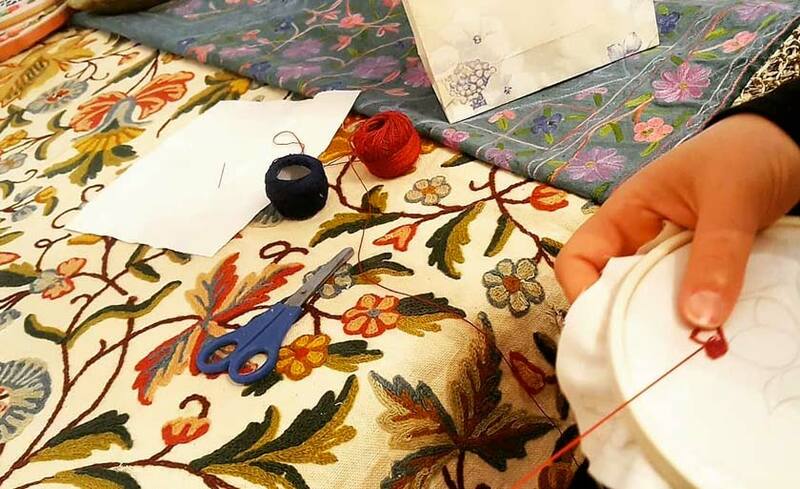 Utilization of decorative sewing became more prevalent in the Islamic Period, especially from the third century (AH) onwards when the Iranian craftsmen and artists undertook to decorate the veil of the Ka’aba with braid threads. 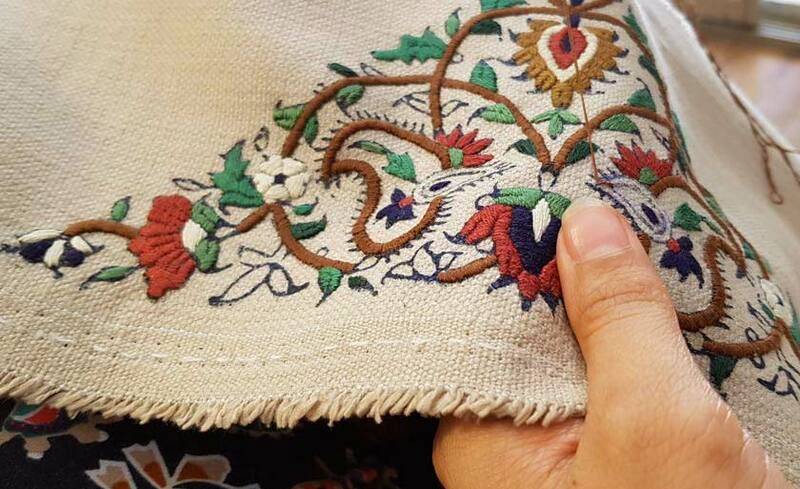 Nowadays, different kinds of traditional embroidery are prevalent in Isfahan and they are usually a combination of several types of sewing on the background of fabrics. Such artworks are done more often on prayer mat, cloth wrapper, Koran cover, table cloth, handkerchief, etc. and the designs include prayer niche, paisley pattern, arabesque, bracelet design, medallion and flower designs. We introduce some popular examples of this art done in Isfahan in the following lines. Filigree, in fact, is the same threads of silver and gold which is formed like a spring (that is tinsel) and sewn on the cashmere fabric in two types of original and artificial. Finally, the filigreed cashmere fabric is undercoated with a floral or colored cloth proportional to the color of cashmere fabric. This type of sewing is done on the fabric which its warp and woof has low density and could easily be separated by the tip of needle such as linen, unbleached calico and etc. This is repeated via counting warp and woof in specific points and its sewing is done. 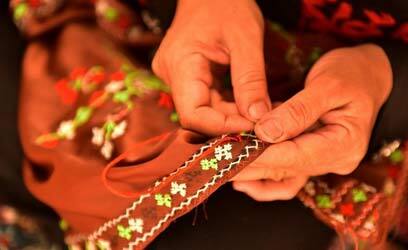 Then the place of threads cut is stitched with rows of thread and the whole design is seen as a lattice. Crochet working is a chain-mark sewing by a needle having a distinct tip like a hook. This kind of sewing is done on the fabric which its warp and woof is not separated when the hook is inserted in it and the hook does not leave any impact on it. Having been smeared with white color and a kind of glue, the design is imprinted on the fabric. The design is shaped with white color on the fabric and can be cleared by water or even by scratching with nail. In crochet working, the hook is inserted into the fabric from one side then it pulls out the thread which is on the other side of the fabric.